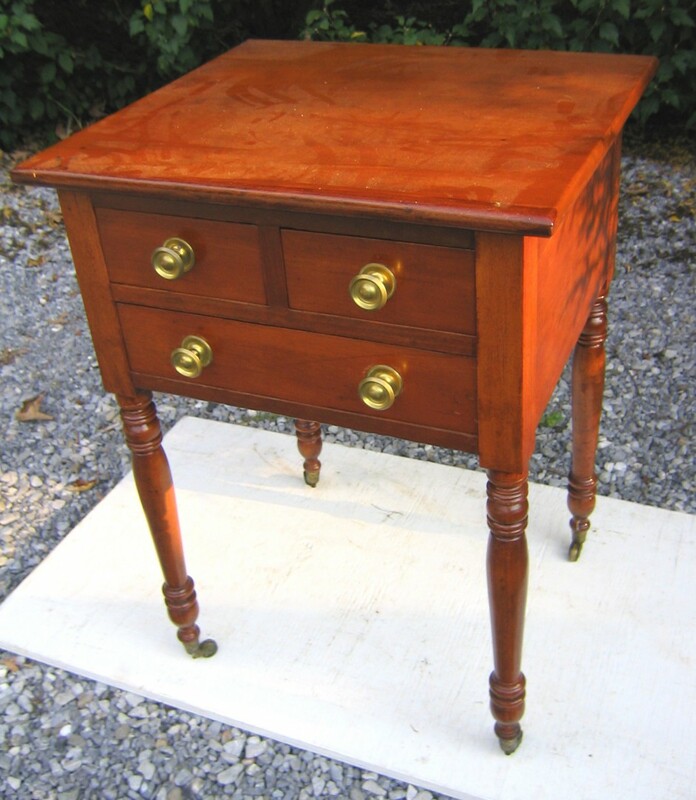 Cherry 3-drawer (two over one) Sheraton stand. Made 1830’s. Three-drawers are rare. Excellent condition. Dimensions: 22w x 19-1/4d x 29-1/2h in. All original except the brass knobs.